Once again, OnePlus 6 ruled the hearts of Android lovers. And, of course, this happened due to its excellent features and high end performance, but is it enough capable of giving a competition to the ace of all smartphones – iPhone X? Let’s have a quick glimpse over their features and specifications. 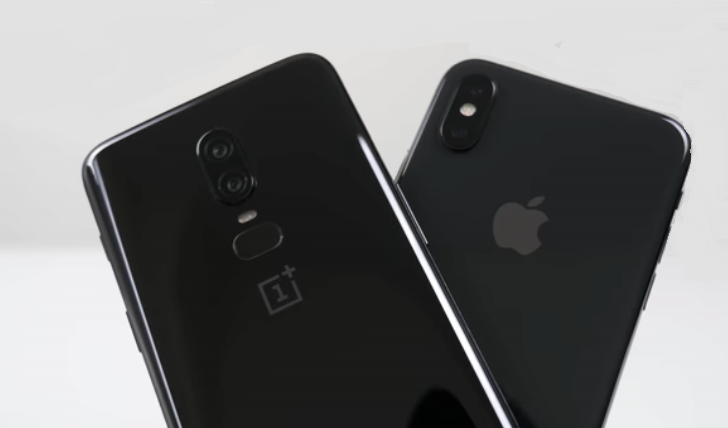 Design of OnePlus 6 and iPhone X brings both of them at a single platform. It’s because they both feature edge-to-edge screen with small ‘notch’ at the top comprised of a few crucial components including camera. The built is again similar which is made up of the blend of aluminum and reinforced glass. However, the glass used within OnePlus 6 is Gorilla Glass which is not used within iPhone X. Before we end up talking about their similarities, let us tell you they both flaunt glossy look due to their front and rear which is built-up of glass. Here is when the differences starts. Talking about the camera, OnePlus 6 has center mounted rear camera with fingerprint sensor beneath it, while iPhone X has its rear camera at the left. OnePlus 6 did not compromise with the headphone jack. Instead, without removing it, OnePlus added high water resistance efficiency while skimming some of its thickness. When comparing their screen size, OnePlus 6 carries large screen, whereas, iPhone X has a smaller screen. Another feature that distinguish them is, dual SIM port that is present within OnePlus 6 while absent in iPhone X. Users who are looking for large screen must go for OnePlus 6 that features 6.28 inches display, while those who are looking for a handy smartphone must buy iPhone X with the screen size of 5.8 inches. Both of their screens are AMOLED, however, they distinguish in aspect of resolution, which is 2280 x 1080 for OnePlus 6 and 1126 x 2436 for iPhone X. Coming onto their quality, OnePlus 6 boasts quad HD display unit while iPhone X works on True Tone Technology which lets phone to adjust color temperature as per the surroundings. OnePlus 6 and iPhone X processors are incomparable as they both perform using different OS. OnePlus 6 is Android smartphone, while iPhone X is iOS that makes them perform entirely different. OnePlus 6 comes with Qualcomm Snapdragon 845 CPU with 6 GB/8 GB RAM and 64 GB/128 GB/256 GB internal storage. And, this is why OnePlus 6 is one of the fastest Android smartphones. iPhone X chipset is Apple A11 Bionic which lets it perform swiftly. However, its RAM is 3 GB and internal storage is 64 GB/256 GB. OnePlus 6, another name for selfie shooter has 16 MP front facing camera and dual camera of 16 MP + 20 MP at the rear. On other hand, with its high end performance, iPhone X is giving the tough competition with front camera of 7 MP and 12 MP + 12 MP rear facing camera. OIS (Optical Image Stabilization) is present within both the smartphones which enables them to capture flawless pictures in daylight as well as dark surroundings. With wide camera lens, iPhone X has the ability to click distortion less pictures. 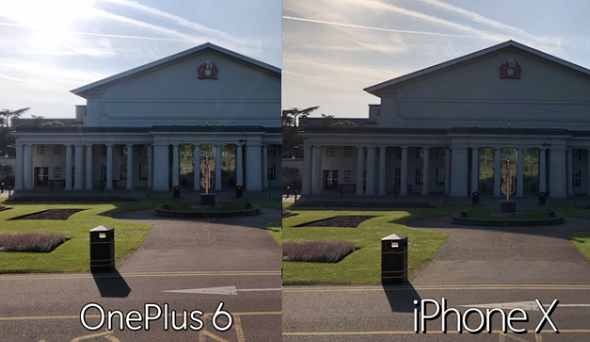 When it comes to video recording, both, OnePlus 6 and iPhone X can record 4K videos at 60 fps. In the fast pace moving world, the demand of fast charging has now turned into a trend. Both, OnePlus 6 and iPhone X features fast charging ability. Now, what makes iPhone X a hi-tech smartphone over OnePlus 6 is the charging mode. OnePlus 6 with 3300 mAh battery can be charged with USB-C charger, while iPhone X with 2716 mAh battery can be charged with Qi wireless charger. No doubt, iPhone X costs a bit more than any of the Android smartphones of this era. $662/€562/Rs.44,999/£492 for 256 GB (Avengers – Infinity War Edition, Only In India). OnePlus 6 Vs iPhone X: Which One Makes The Best Buy? 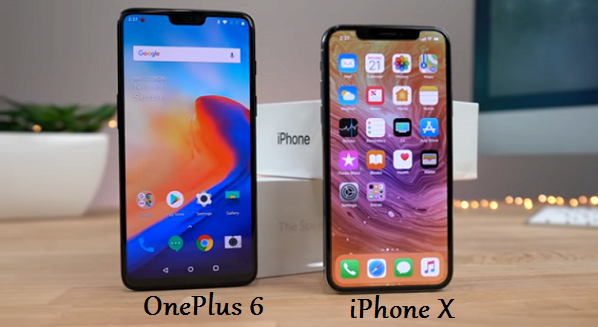 With unbeatable features, both, OnePlus 6 and iPhone X has brought a tough choice for the buyers. However, iOS lovers cannot be spell bounded with Android frames. Down the line, they both feature similar features at some extent such as edge-to-edge screen, built, notch, fast charging ability and much more. Simultaneously, they also inhabit some unique excellent features. However, those who are looking for a mid-range smartphone with all-in-one features and top-notch performance, OnePlus 6 is the right choice. While, those who can pay a good price for a smartphone that worth it, iPhone X is the perfect fit.